One out of every 19 deaths is related to stroke. On average, one American dies for a stroke every four minutes. More than 800,000 Americans have a stroke each year. 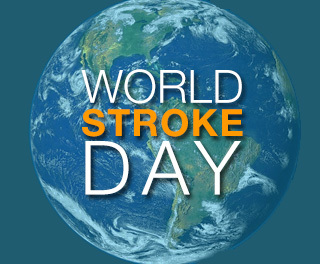 Almost 80 percent of strokes can be prevented. All ages are affected by stroke. Almost 34 percent of stroke victims are under 65 years of age. Diet, exercise, and stress all impact the risk for having a stroke. Signs of stroke can be different for females and males. These signs include pain in the arms, severe headaches and sudden confusion, and dizziness. Patients who arrive at the hospital within the first three hours of having a stroke tend to have less disability than those who delay medical attention. High blood pressure, high cholesterol, and smoking are major risk factors for stroke. Half of Americans have at least one of these three risk factors. The signs of stroke include: face drooping, arm weakness, and speech difficulty. If you have any of these symptoms promptly contact a healthcare professional. To learn more about stroke, visit National Stroke Association or American Stroke Association’s website. Remember if you think you might be having a stroke, call 911 immediately.